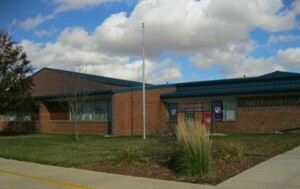 The elementary school is home to students in Preschool thru 4th grade. The Early Childhood Program has the Statewide Voluntary Preschool, Early Childhood Special Education, and the Pre-K. The students range from 3-5 years of age. The goal of the Early Childhood Program is to engage students in a positive environment by focusing on their social, emotional, and academic needs. Our Early Childhood Program was validated by the Iowa Dept. of Education in 2014 and received a perfect score by meeting all the program requirements! The rest of the elementary school houses students in grades K-4. We have three sections of each class level and range between 50-70 students per grade. Our approach to learning at Sibley-Ocheyedan Elementary is made up of three parts. The first and most important piece is the safety of your child. Our school is a safe and secure place where we encourage students to take ownership in their learning. All exterior doors are locked and plans are in place to add security cameras and a buzzer entry system in the near future. Students are taught to follow and model the 6 Pillars of Character (trustworthiness, respect, caring, responsibility, fairness, and citizenship). Second, we focus on the academic achievement. We try to maintain small class sizes and use multiple strategies/resources to meet the various learning styles of our students. We offer a wide arrange of services to individualize learning. Some of these include Speech, Title Reading, English as a Secondary Language (ESL), Talented and Gifted (TAG), Reading/Math Interventions, and Counseling. Third, we teach and provide students with many opportunities to become learners of technology in the 21st century. Students will use and be exposed daily to various technologies (computers,interactive whiteboards, iPods, iPads, email, video conferencing, etc.) They will be digital thinkers who can create, communicate, and collaborate. 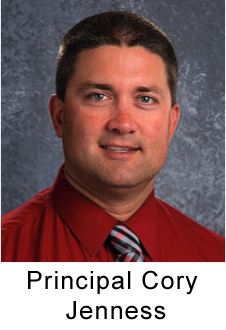 With our outstanding and caring teachers, your child will definitely love being a student at Sibley-Ocheyedan Elementary!